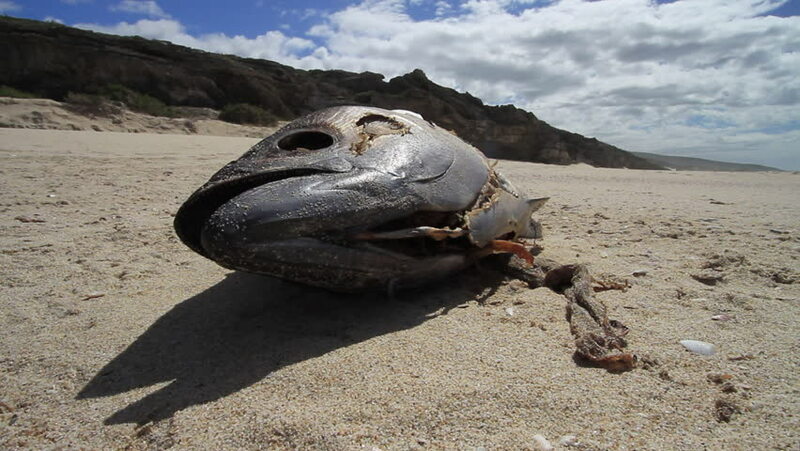 Great behavior shot of a dead Tuna fish on the beach being eaten by a hungry Sea Gull (Kelp Gull - Larus dominicanus). hd00:33Swirling waves on River end. The Russian river coloring brown the Pacific ocean after rain. Seagulls are on Goat Rock Beach, Sonoma County, California winter.